Accounts: U2917300->U18872653. Memo: Shopping Cart Payment. 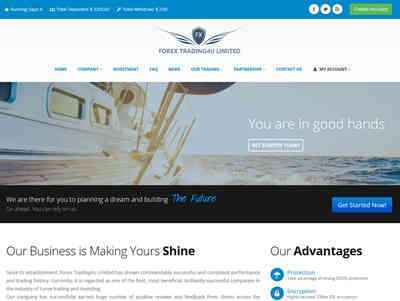 Deposit to Forex Trading4u Limited User hyipregular.. Date: 08:42 28.07.18. Batch: 222413636. We will suppport here later! The amount of 12 USD has been deposited to your account. Accounts: U18872653->U2917300. Memo: API Payment. Withdraw to hyipregular from Forex Trading4u Limited.. Date: 15:40 30.07.18. Batch: 222633051. 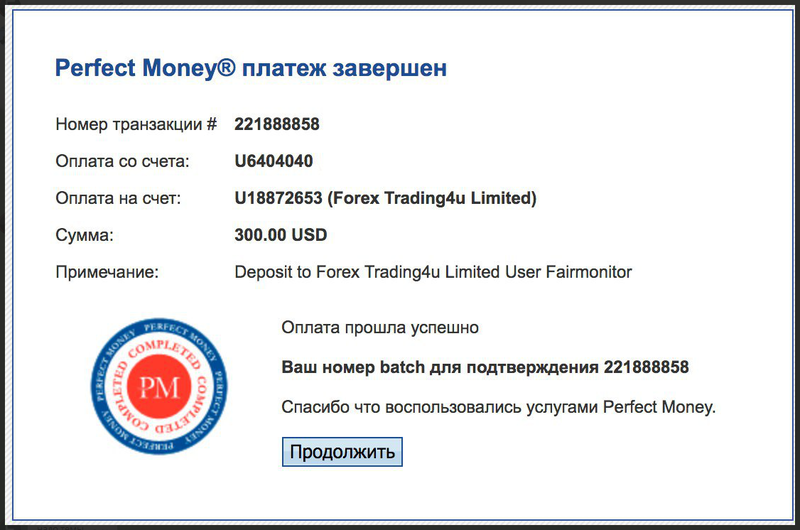 Forex Trading4u Limited	+7.5	Received Payment 7.5 USD from account U18872653. Memo: API Payment. Withdraw to Fairmonitor from Forex Trading4u Limited. The amount of 25 USD has been deposited to your account. Accounts: U18872653->U2917300. Memo: API Payment. Withdraw to hyipregular from Forex Trading4u Limited.. Date: 13:57 01.08.18. Batch: 223182083. The amount of 25 USD has been deposited to your account. Accounts: U18872653->U2917300. Memo: API Payment. Withdraw to hyipregular from Forex Trading4u Limited.. Date: 15:26 04.08.18. Batch: 223539999. The amount of 13 USD has been deposited to your account. Accounts: U18872653->U2917300. Memo: API Payment. Withdraw to hyipregular from Forex Trading4u Limited.. Date: 14:55 06.08.18. Batch: 223741935. The amount of 37 USD has been deposited to your account. Accounts: U18872653->U2917300. Memo: API Payment. Withdraw to hyipregular from Forex Trading4u Limited.. Date: 15:15 09.08.18. Batch: 224097062.